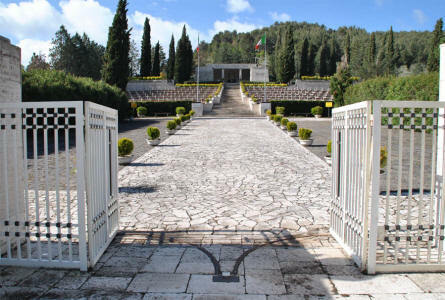 The Italian War Cemetery & Museum at Monte Cassino is located just a few kilometres south of the Cassino - on the SS6 road. After the Allied landing in southern Italy in 1943 - during World War II - the allied advances was stop at Monte Cassino. The high ground near the monastery turned out to be an almost impossible stronghold to conquer, so the "Battle of Monte Cassino" took a lot of lives - among these a large number of the Italian soldiers that were fighting together with the Allied forces. Just next to the cemetery there is a small World War II museum with both an in-door and an out-door exhibition. 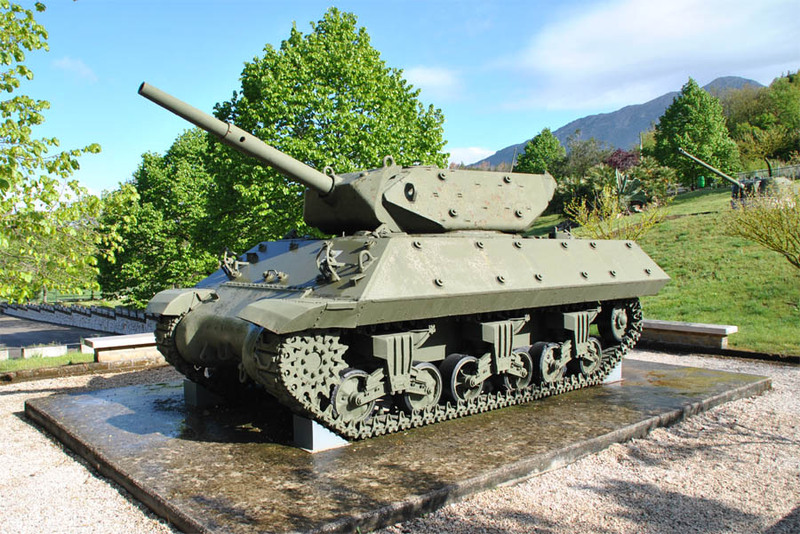 An American World War II M-10 tank destroyer displayed at the out-door exhibition of the small museum next to the Italian War Cemetery in Mignano Monte Lungo - near Monte Cassino. 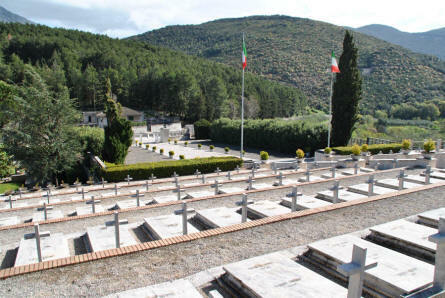 A view from the top of the Italian War Cemetery in Mignano Monte Lungo - near Monte Cassino. 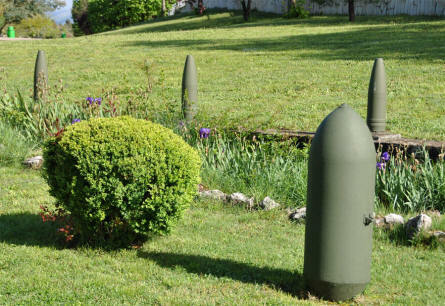 A number of World War II bombs and grenades are displayed at the out-door exhibition of the small museum next to the Italian War Cemetery in Mignano Monte Lungo - near Monte Cassino. 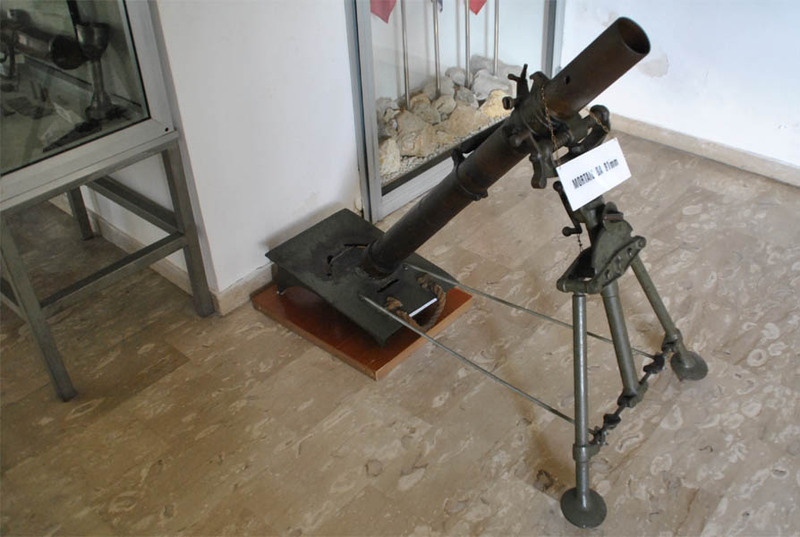 A World War II mortar displayed at the in-door exhibition of the small museum next to the Italian War Cemetery in Mignano Monte Lungo - near Monte Cassino. The entrance to the Italian War Cemetery in Mignano Monte Lungo - near Monte Cassino. One of the Allied World War II canons displayed at the small museum next to the Italian War Cemetery in Mignano Monte Lungo - near Monte Cassino. 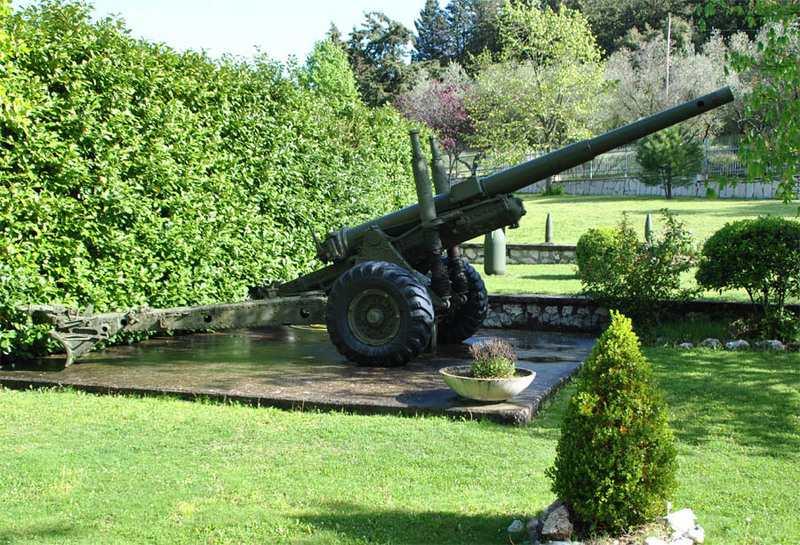 Battle of "Battle of San Pietro"